Woman Cleared of Negligent Homicide in Crash Due to GM Vehicle Recall - South Carolina Personal Injury Attorneys | Strom Law Firm, L.L.C. On Monday, November 24th, a Texas judge cleared a woman of all negligent homicide charges related to a fatal 2007 car accident which killed her fiancée, after the accident was linked to defects in ignition switches in some older model General Motors vehicles which led to a GM vehicle recall earlier this year. Candice Anderson was driving a Saturn Ion, which was one of the 2.5 million defective cars under vehicle recall due to ignition switch problems. The ignition switch defect has been linked to 35 crash deaths so far, with hundreds more pending investigation. In November 2004, Anderson, now 30, was driving herself and her fiancée in her Saturn Ion along a rural road in east Texas when she veered off and crashed into a tree. The airbags failed to deploy, and neither Anderson nor her fiancée was wearing their seatbelt. Her fiancée died of his injuries. Anderson pleaded guilty to charges of negligent homicide, and served 5 years of probation, 260 hours of community service, and paid $2,500 in fines. She spent the last decade wracked with guilt because she believed her negligence was responsible for the death of the man she loved. However, in February of this year, General Motors issued a quiet vehicle recall notice for about 250,000 older model vehicles, many in model years 2004 and 2005, due to ignition switch problems. The public and federal safety regulators noticed the problem, however, and immediately began investigating GM. 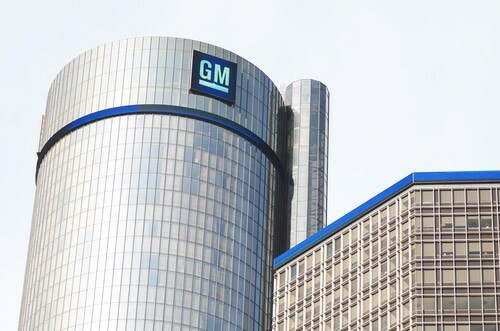 The problem was linked to a faulty ignition switch that the company had been negligently using for years, and GM finally admitted that the company knew of at least 13 deaths related to the ignition switches misfiring. Anderson discovered that the Saturn Ion she drove that fateful day was one of the cars under the vehicle recall. The judge’s ruling clears Anderson of any criminal record in the state of Texas related to her guilty plea. If you have experienced a problem with a defective product in your automobile, especially if a defective part has led to an auto accident or personal injury, and a proper vehicle recall notice has not been issued such as a GM Vehicle Recall notice, you may be entitled to compensation. The attorneys at the Strom Law Firm can help. We can help you with complicated auto insurance claims, and make sure you receive the compensation you deserve to help you with lost income and medical bills. Our attorneys are licensed to practice in South Carolina, Georgia, and New York. We offer free, confidential consultations to discuss the facts of your case. Contact us today at (803) 252-4800.